Since I accidentally hit “publish” at 12:01 this morning, I thought maybe a bonus post was in order. Since my (early) morning post was about dance, so is this. Okay, it’s slightly less cutting-edge dance, but it’s just as entertaining. 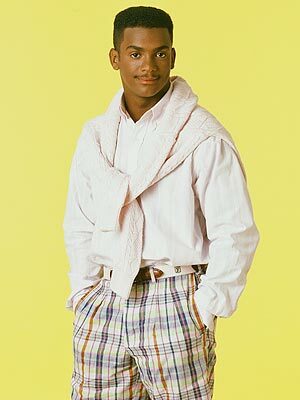 Remember Carlton Banks from “The Fresh Prince of Bel-Air?” He’s back, but he hasn’t changed a bit! Here is Alfonso Ribeiro on “Dancing With the Stars” doing what he does best! Categories: Chutzpah, Humor, Performance, Video | Tags: Alfonso Ribeiro, Carlton, dance, Dancing With the Stars, DWTS, Fresh Prince, funny | Permalink. The joy on their faces was absolutely a joy to watch!! Darn, they can dance! So cute. I always loved him. I didn’t either, but this is what I discover in the middle of the night when I should be sleeping. I remember when I first saw this, via a Facebook link. I don’t watch the show, but I loved “The Fresh Prince…” when it was on. I watched the clip and was very impressed. Of course, “The Carlton” brought back a lot of memories. I have been known to bust out the Carleton once in a while to make my bestie laugh . . .
It’s not bravery, it’s a need to make people laugh. This need has gotten me in more than a little trouble . . . I do my best to provide anecdotes for others. Thank you Donna for the video. Loved it. Such a goshdarn cute and happy performance! Love it! Aren’t they just so happy? I assume they, too, have a snow day! Excellent! I very much remember. I also didn’t know he was on DWTS. When I first started playing the video, my internal monologue was “pleasedothecarlton, pleasedothecarlton, pleasedothecarlton . . .” And then he did!